Time travel to the nostalgic past of 19th Century with the Americana – 100 Backgrounds Collection – without leaving the modern day! Tags: 19th Century, Adobe, America, Americana, antique autos, architecture, digital backgrounds, Digital Compositing, how to photoshop, landscapes, nostalgic, Photoshop Users, rural, shops, Software, sports, StudioMagic, turn of the century. 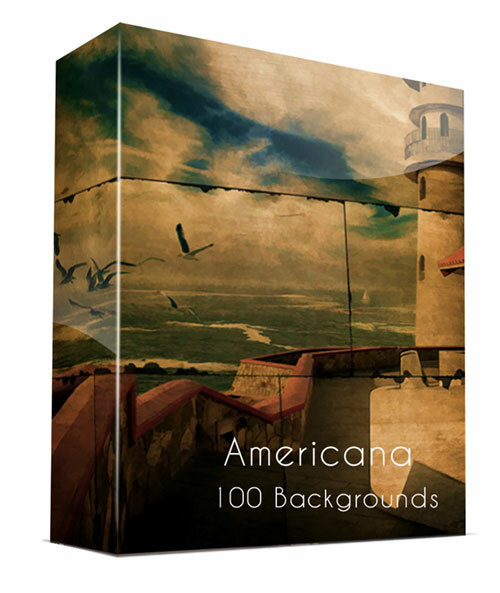 The beautifully aged and time-worn backgrounds of the Americana – 100 Backgrounds Collection, premier below.